The simple beauty of an old Amish classic! Bold geometric patchwork is softened by delicately quilted feathers. Finished size is approximately 22″ x 22″. Colors are traditional jewel tones of wine, dark green and navy. 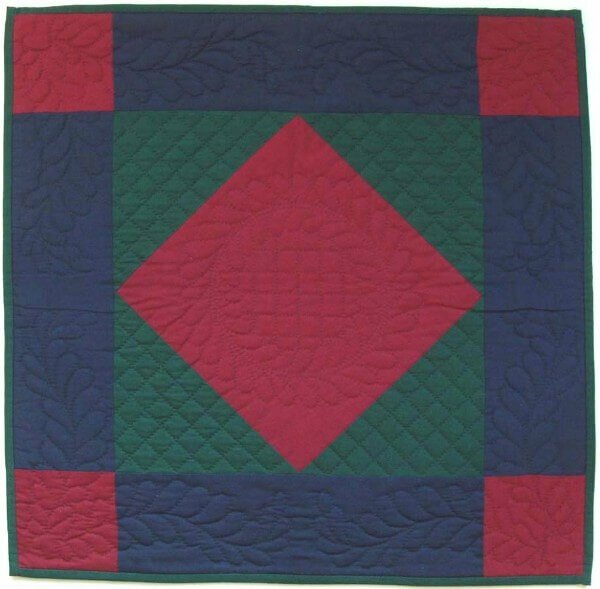 Kit includes all 100% cotton fabrics needed to complete the quilt (including quilt top, backing, and binding), plus batting, complete instructions, precise patterns, and quilting designs.